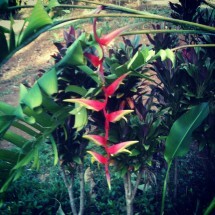 On our Kauai farm, we grow many different varieties of Heliconia flowers. Some of the varieties produce blooms for the flower arrangements we ship and others we grow just to have in our collection. 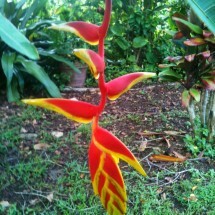 Out of all the Heliconia varieties we grow, none other in the Hawaiian landscape are as dramatic as pendent Heliconias. 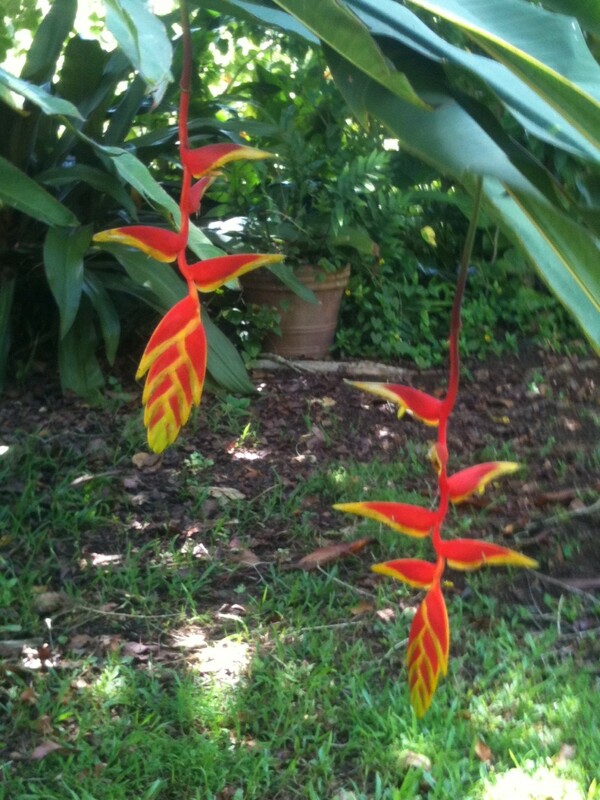 Growing from 5′ to 25′ tall, the exotic flower clusters hang down in contrast to the upright Heliconia varieties. 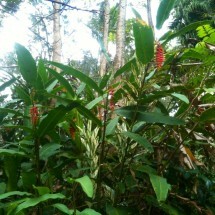 Large banana-like leaves balance the plants towards the top of the flower stalks. Once the stalk has produced a flower, it will die back and a new stalk will emerge from the rhizome at the base. 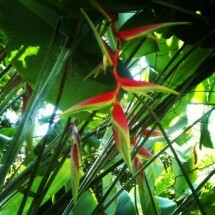 That stalk in turn will produce the gift of a new flower. The plants grow in clumps and once established, will easily outgrow their original planting area. In order to keep up with the plant growth, we must often trim and maintain the flower patch. 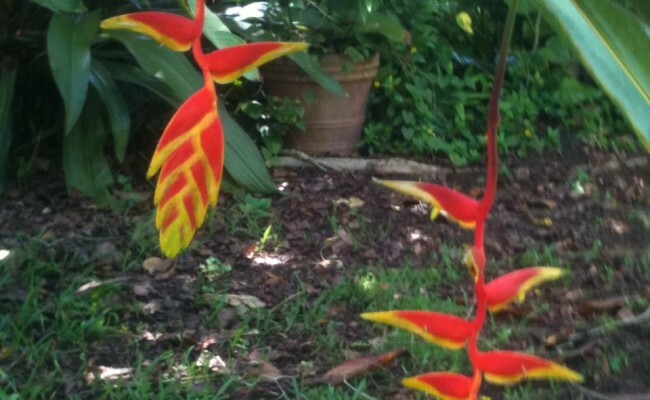 The distinctive bracts of the Pendent Heliconias appear to be sculpted like the beak of a parrot. Many varieties are too big to use as a cut flower except in a very large flower arrangement like our Tropical Kauai Arrangement (available by special order). In one of those flower arrangements, we may include a “Temptress” or “Rostrata” flower. Other pendents such as “Red Wings” or “Beef Steak” are more of a collector’s item. Once picked, the graceful and beautiful Pendents will last for several weeks.